Are Plastic Grocery Bags Falsely Labeled as “Single-Use” Bags? Bag Banners have long demonized disposable plastic grocery bags by labeling them as “single-use” plastic carryout bags that, they claim, are only used only a few minutes to carry your groceries home. These claims disputed by citizens who understand that plastic grocery bags are not single-use bags but are reused by consumers for a variety of other purposes. While Bag Banners and public officials only half-heartedly acknowledged such reuse, they steadfastly refused to consider the environmental benefits that such reuse creates. The question “Are Plastic Grocery Bags Falsely Labeled as ‘Single-Use’ Bags?” is an important question that will be examined from several perspectives in this paper. In addition, paper grocery bags and also the newly mandated thicker plastic grocery bags will be examined including the terminology used to describe these bags. We intend to expose the blatant falsehood behind labeling a shopping bag as either single-use or reusable. 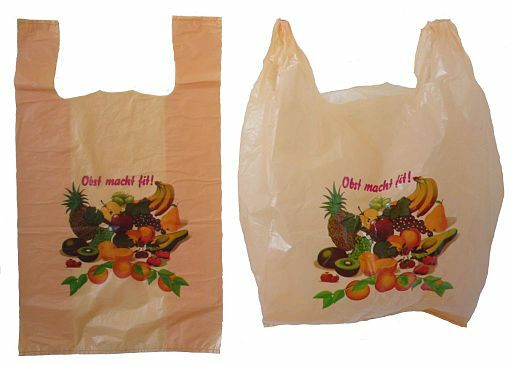 Plastic grocery bags with handles are actually named “Plastic T-shirt Bags” and come in a variety of sizes, colors, and custom printed logos. They are a time saving convenience for both the retailer and the customer and which offers the retailer a marketing opportunity to advertise their business. For customers, they are not only convenient, clean, and safe, but they also serve a multitude of other uses after transporting their purchases home. So how did these safe, clean, convenient and reused plastic “T-shirt bags” get relabeled as “Single-Use Plastic Carryout Bags” in city, county, and state laws? I believe there are more people (like myself) that use the plastic bags at least one time more after they take them home. I use them to line wastepaper baskets, pick up dog residue, pine needles, and empty my bigger kitchen cans so that the true single-use plastic bags don’t have to be repurchased as often. Plastic grocery bags can be used for a variety of different secondary uses. For example, several years ago I had to pack away Christmas tree ornaments, and I ran out of tissue paper, so I used plastic grocery bags to cushion the ornaments in the box. I have read articles, there are a lot on the internet, where they are also cut into strips and used for craft type of projects.